The Amazon Kindle Cloud drive is like having a personal hard drive in the sky (or in a cloud, as Amazon would say). In reality, the Kindle Cloud Drive exists on Amazon’s secure servers and you can access the drive through the Internet. You access your music, videos and photos whenever you have access to wifi. Because the Kindle Fire has limited storage on the actual device, about 6GBs, most people need to take advantage of Amazon’s Cloud services. 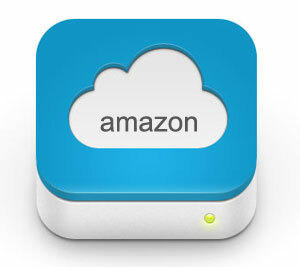 The Amazon Cloud Drive offer 5GBs of free storage . This can be used for documents, music and video files (or any other media you upload). 5GBS is about 1000 songs. You also have unlimited cloud storage for any songs purchased through the Amazon store! All the MP3s you buy through Amazon can be accessed from any personal computer for free and don’t count against your monthly storage limit. A music streaming application called the Cloud Player is bundled with the Cloud Drive. You can play all the music stored in the Cloud Drive from any computer or Android device with Internet access. For all other media, anything beyond 5GBs is $1 per GB extra. For instance, if you want 20GBs of storage per year is $20 per year . Also $50 a year for 50GBs and so forth. You can access Amazon Kindle Cloud Drive over the web from any computer you use. For example, if you go on holidays, you can put documents you might need on the Cloud Drive and you’re able to access them from your hotel. If you have wifi on your commute, you can access the cloud. With the Cloud Drive, you never have to worry about losing files again.